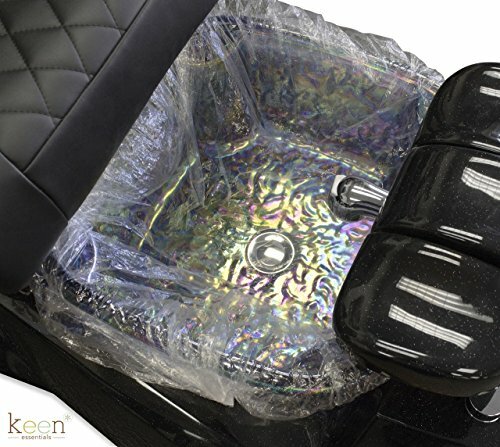 KEEN Disposable Liners are the most economical solution to keeping pedicure spas sanitary and clean for each client. Premium Quality Disposable Pedicure Liners (200 pcs per case) perfect for Pedicure Spa, Foot Baths, Foot Spa. One size fits all. No leakage problem, Thick material quality. To use simply pull apart ez-strip until liner fits the spa. Secures around all shapes. Can also be used for heated portable spas and footbaths. After use, puncture hole near drain, let water empty and then dispose. Diameter: 48 inch. Quantity: 200 count/case.